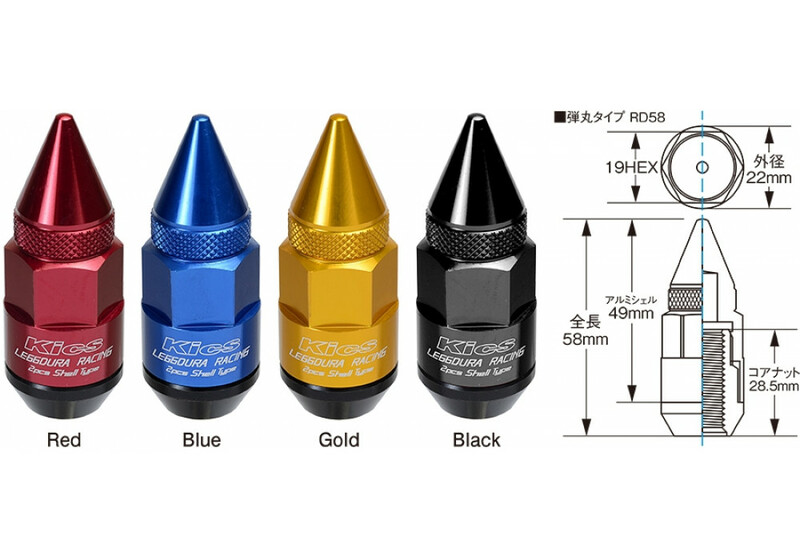 Spiked lug nuts made in Japan by top quality maker Project Kics. 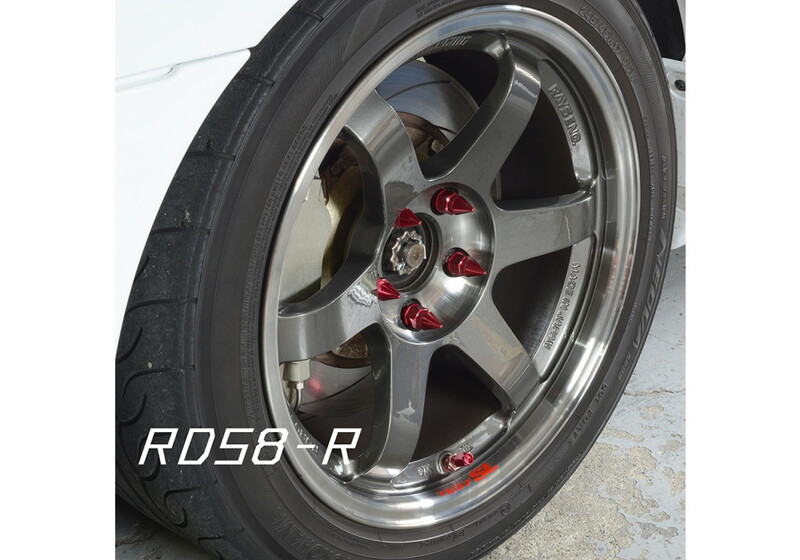 These are made of 2 pieces (inner and outer lug nut) and comes with 1 lock nut. 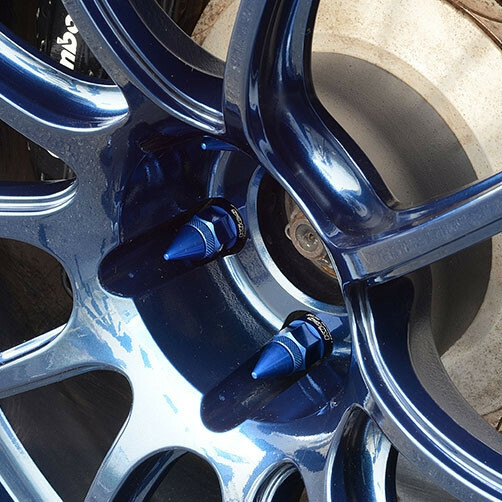 It is one of the hardest type of lug nut to steal. The 2 pieces design is also very nice as it's removable by hand using a tool, so that you can remove them before bringing them to the shop (to keep them intact). 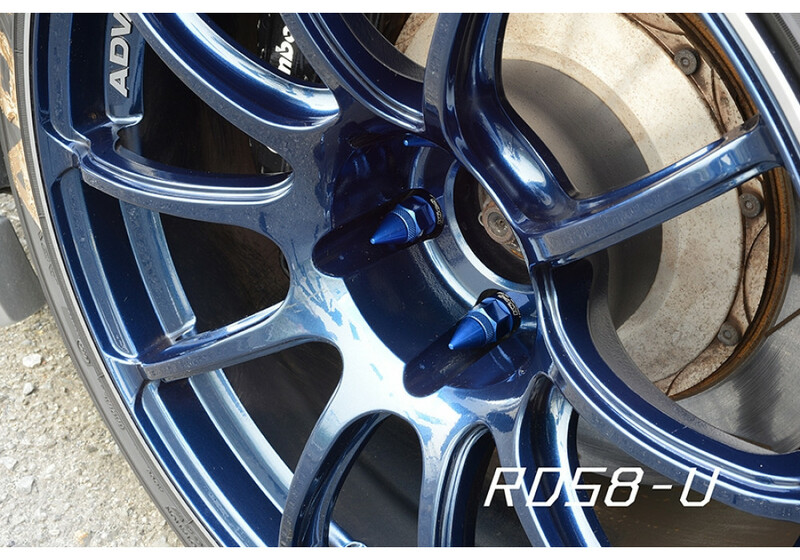 The shell (outer piece) is made of Aluminum and the lug nut itself is made of Duraluminum (forged aluminum) which is the most commonly used material in racing vehicles due to its durability and lightness. 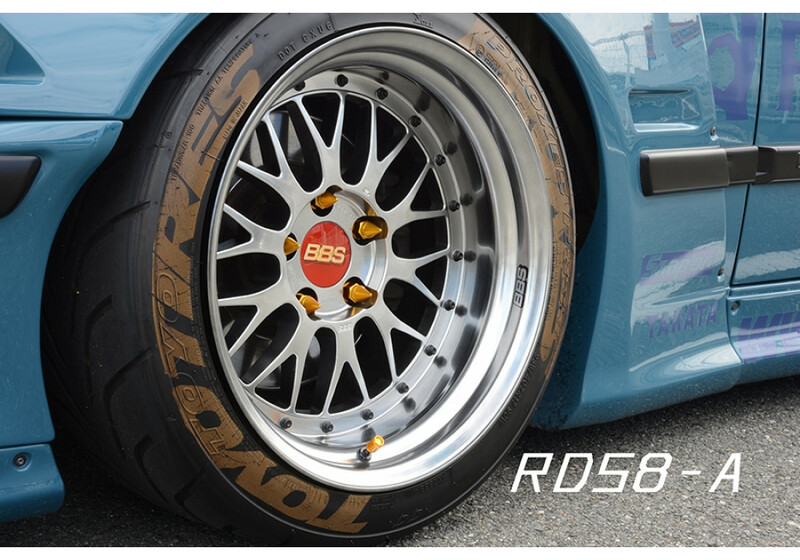 Project Kics Leggdura RD58 (Spike) Lug Nuts should be ordered at REV9 Autosport https://rev9autosport.com/project-kics-leggdura-rd58-spike-lug-nuts.html as they provide the best service and speed we've seen so far!